The Belgian government has announced the start of an official investigation into allegations that the country’s tele- communications networks were spied on by a consortium of German and American intelligence agencies. A press release issued Friday by the Belgian Ministry of Justice said the minister, Koen Geens, had authorized an examination of claims of espionage by the United States National Security Agency and Germany’s Bundesnach-richtendienst (BND). 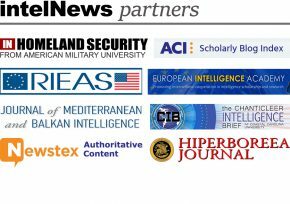 The statement was referring to EIKONAL, an alleged collaboration between the NSA and the BND, which was revealed last month by Austrian politician Peter Pilz. Pilz told a press conference in Bern, Switzerland, that EIKONAL had targeted European telecommunications carriers for at least four years, from 2005 to 2008. The governments of Switzerland and the Netherlands have already launched their own investigations into EIKONAL. After speaking with Pilz, Belgian politician Stefaan Van Hecke told Belgian media last month that the BND-NSA consortium had penetrated the network of Proximus, the mobile subsidiary of Belgacom, Belgium’s national telecommunications carrier. Speaking anonymously about the investigation, a Belgian official told the country’s largest French-language newspaper, Sud Presse, that if the alleged espionage is confirmed, it would have “not only legal implications, but will also affect relations between Belgium, Germany and the US”. A Justice Ministry spokeswoman said on Friday that if the allegations of espionage were confirmed “the government would take appropriate action”, but she refused to elaborate. IntelNews regulars will remember the last time Belgacom surfaced in the news: in 2013, we reported that the company’s technicians had detected an “unidentified virus” that had infected several dozen mainframe computers. 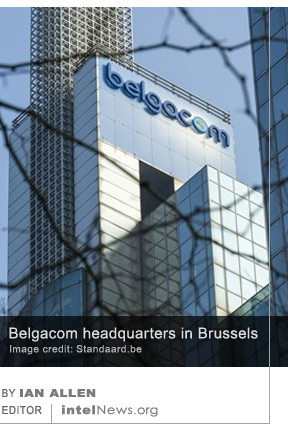 The virus specifically targeted telecommunications traffic carried by Belgacom’s international subsidiaries in Africa and the Middle East. Belgium’s Federal Prosecutor’s Office said at the time that the malware’s complexity, coupled with its grand scale, “pointed towards international state-sponsored cyber espionage”.